Ed. 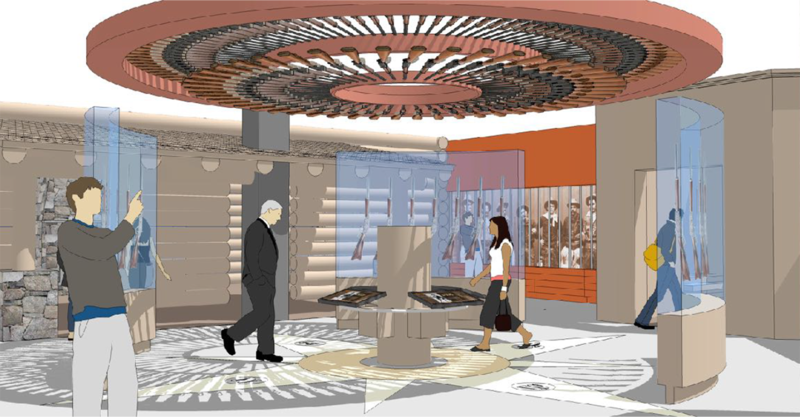 Note: As the renovation of our Cody Firearms Museum moves into the final stages of reinstallation, we share here Curator Ashley Hlebinsky’s Spring 2018 Points West article that looked forward to the then-upcoming project. Firearms have existed for hundreds of years. They play integral roles in countless narratives that address conflict, war, individual usage and ownership, manufacturing, sport, science, technology, and art. 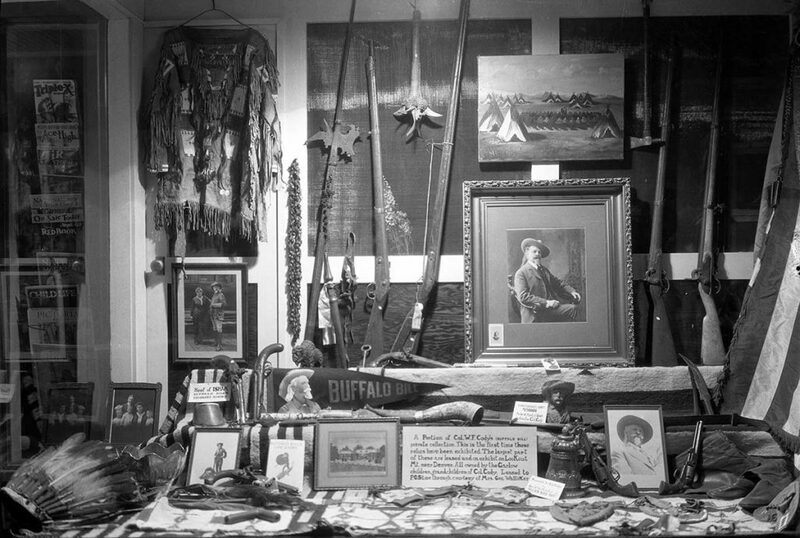 The Cody Firearms Museum (CFM) at the Buffalo Bill Center of the West celebrates this diversity in firearms history. After twenty-five years of interpreting firearms, however, the CFM is about to undergo a major reinstallation. Through this renovation, the museum seeks to better highlight these stories for a twenty-first-century audience. The new museum will exhibit thousands of firearms dating back to 1400, and continuing to modern day. Through engaging and interpretive displays, the CFM can better contextualize the various roles firearms have played in the history of human endeavor. The Cody Firearms Museum is part of a complex of five major museums and a research library at the Buffalo Bill Center of the West in Cody, Wyoming. While firearms are specifically the focus and mission of the CFM—a relatively recent addition to the Center (1976)—firearms have been integral artifacts in the Center’s hundred-year history. In 1917, William F. “Buffalo Bill” Cody passed away. That same year in Cody, the community, including Cody’s niece Mary Jester Allen, founded the Buffalo Bill Memorial Association to commemorate his life. A hundred years later, the Center has grown into a 40-acre property that features the Whitney Western Art Museum, Buffalo Bill Museum, Plains Indian Museum, Draper Natural History Museum, Cody Firearms Museum, and the McCracken Research Library. Each museum has at least one firearm in its collection; taken together, the Center’s firearms collection totals more than 8,000 guns. About 90 percent, however, are part of the Cody Firearms Museum Collection—one that has grown significantly over the past few decades. In 1975, the Olin Corporation began the necessary paperwork to loan the Winchester Arms Collection to the Center. This loan included thousands of firearms and tens of thousands of design drawings, ephemera, and corporate records. It was international in scale and included firearms from as early as 1425. On July 4, 1976, famed western actor John Wayne was a part of the dedication of the collection to the Center. Because of its generous lender, the museum initially opened in the basement of the Buffalo Bill Museum as the Winchester Arms Museum in the early 1980s. However, in 1988, Olin donated the collection, and the Center built a separate wing to house the growing museum. Before reopening in its new location within the Center in 1991, the firearms museum underwent a name change. Firearms manufacturer William B. Ruger, who housed a portion of his personal collection in the museum and was a member of the Center’s board of trustees, provided a substantial donation to alter the name to be more reflective of the diverse collection. Thus, in the summer of 1991, the Cody Firearms Museum opened. At present, the CFM boasts about 7,000 firearms and more than 20,000 firearms-related artifacts. Today, the Buffalo Bill Center of the West is an American Alliance of Museums accredited institution—an honor bestowed upon only 5 percent of all museums in the country. As part of a larger institution, the CFM is privy to several advantages. First, the interdisciplinary nature of the Center incorporates firearms history into all facets of both American and international history. Second, the Center attracts a diverse audience. Nearly 200,000 people visit the Center per annum, most on their way to or from Yellowstone National Park. Thus, the CFM has an opportunity to reach not only gun enthusiasts, but an international audience—many without a great familiarity with firearms. These advantages—especially the diverse audience base—have been taken into consideration in the future of the museum. Project Vision: The CFM will become an even stronger destination for both firearm enthusiasts and the general public as the foremost institution in the nation for interpreting firearms. The Cody Firearms Museum has been in existence for more than twenty-five years. While that may not seem like a long time in the hundred-year history of the Center, a reinstallation is long overdue. It is important to note: In the reinstallation, the staff will not take away the elements of the museum that make it so iconic. Instead, our hope is to supplement the collection’s significance with interactives and refined casework that permit more guns on display than is currently possible. At present, the museum has 3,948 firearms on exhibit; the new museum has a target goal of more than 4,500 firearms on display. This display of air guns in the former Cody Firearms Museum was typical of displays prevalent throughout the museum. Frontier Fortitude photo. Before the current renovation, the CFM’s main floor was divided into the following wings: Coors Theater, Robert W. Woodruff Gallery of Sporting Arms and Action Types, Military History Gallery, Boone & Crockett Cabin, Firearms by Manufacturer (a wing with several smaller named galleries), and the Robert W. Woodruff Embellished Arms Gallery. 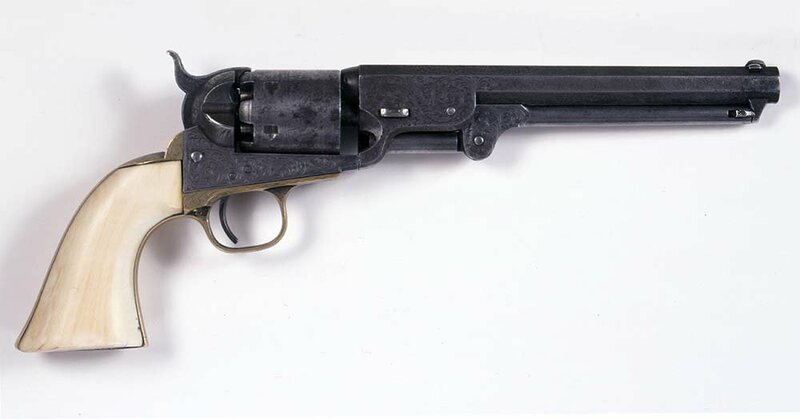 Each of these exhibits examined a different aspect in the comprehensive history of firearms. Nevertheless, the average non-gun-enthusiast visitor often found the museum difficult to digest. In reality, the visitor almost needed a baseline of understanding to absorb larger concepts of why firearms are so essential throughout history. While the enthusiast could draw these connections simply, it was a struggle for our firearms-novice visitors. In the reinstallation, we seek a balance between these two ends of the spectrum. To complete this task, we intend to double the number of media and mechanical interactives, in addition to increasing the number of guns on display. Design drawings by Gallagher & Associates gave a preview of the planned concepts as the renovation plans got underway in 2017. A birds-eye view design concept drawing for the reinstalled Cody Firearms Museum. The front of the museum is dedicated to Firearms Safety and Basics alongside the modern shooting sports. It encompasses a tactile learning experience where visitors can interact with mechanical actions to discover how the distinct types of firearms function. They’ll also learn pertinent terminology (rifle, cartridge, carbine, caliber, pistol, revolver, gauge, etc.) that they’ll encounter on labels and within text panels throughout the rest of the museum. To the rear of this section is a simulated firearms experience where visitors find out about modern day shooting sports, firearms safety, proper firearms handling, and other tips on the range. Essentially, the entrance to the new museum orients the firearms novice to the function of firearms to gain that “baseline of understanding” as they explore the museum. For those more adept at firearms, visitors can choose to participate in the discovery learning area or walk left into the museum’s galleries. This section is a comprehensive timeline covering the entirety of firearms history. A central case runs down the left side of the museum discussing not only technological changes, but why these technologies evolved. This is an opportunity for visitors to draw larger connections to firearms with diverse cultures and world events. These artifacts are accompanied by a series of tablets that demonstrate the firearms in action. While the timeline is a chronology, it is also accompanied by thematic pullout galleries on both sides that discuss significant times of transition in this lengthy history. Story of the West interactive. Design concept drawing by Gallagher & Associates. This timeline also functions as a “Fast Track” version of the museum for those who do not have enough time or the desire to linger in the museum. In the center of the timeline, one of the thematic segments is dedicated to the mythology of the West and the reality behind firearms “Winning the West.” It will posit the popular culture that we associate with the region and challenge misperceptions about the actual history. This small display on the timeline opens to the right to lead visitors down a corridor where they next address firearms roles in the real West. The core of this section is a recreated western town. In the middle of the gallery is a media interactive that addresses well-known firearms of the American West and tracks them from design to distribution. The museum retains its nineteenth-century arms factory from the current configuration so that visitors can learn about brand names associated with the West, such as Winchester and Colt. In a hunting cabin, they can view an exhibit and a movie on the history of hunting from fur trapping to the conservation movement. In a recreation of the Browning Brothers original store, visitors learn about gun designers who lived and worked in the West. The final structure is a small store where visitors learn the types of guns that people could afford in the American West. The military history wing has two main components. The first is a traditional military weapons display around the periphery of the exhibition area. 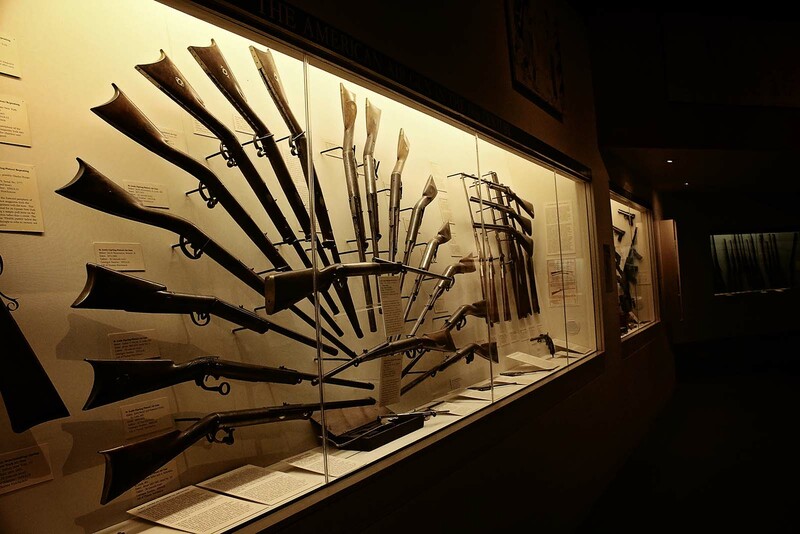 This section is to be densely packed with firearms and showcases the evolution of firearms from early conflicts on American soil to more modern battles fought globally by Americans. Using a simulator, visitors may even fire a Browning M2 machine gun. The second component focuses on soldiers’ experiences expressed through oral histories. 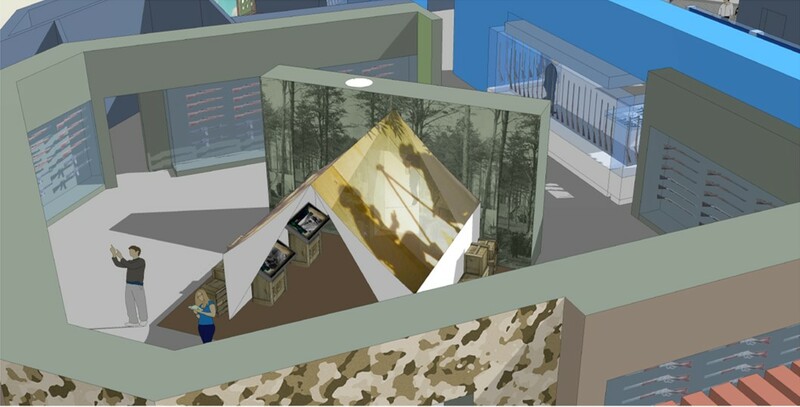 A tent is in the center of the gallery, and inside, viewers can hear and read oral histories of soldiers. Projected on the outside of the tent is filmed battle footage. The Room of Reflection at the back of the gallery is an ongoing oral history space for current veterans. There, they can record their own stories for the Center to keep and share in the future. Military history and veterans oral history section. Design concept drawing by Gallagher & Associates. This miniature science center comprehensively examines the physics of precision. 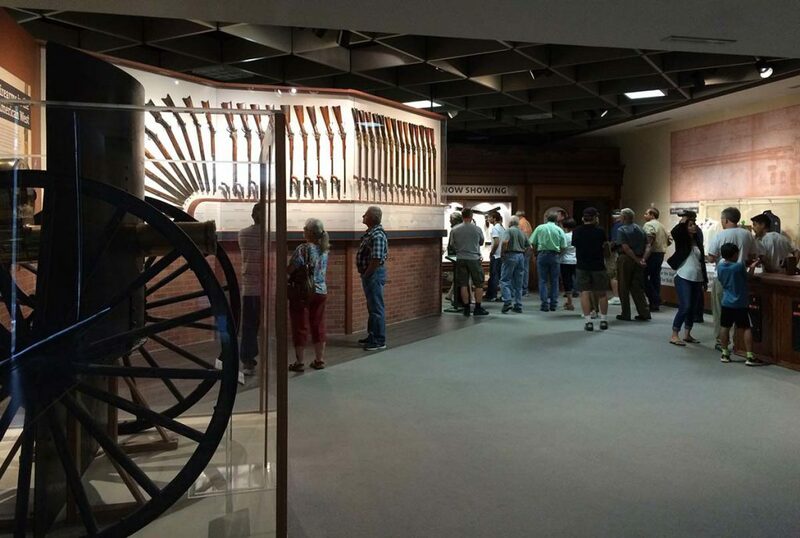 Like the Introductory area, this hands-on gallery invites visitors to learn and understand firearms mechanics. It also looks at popular misperceptions of firearms and their accessories. For example, are silencers silent? The section also features long-range rifle and shotgun simulators. Unlike the shooting galleries at the entrance of the current museum that focus on basic handling, the new section takes that knowledge one step further: It teaches visitors about the mechanics of both firearms and ammunition. Located next to the science wing, the art of the firearms exhibit looks at embellishment throughout history, with an emphasis on nineteenth-century factory custom shop engraving, presentation arms, and commemorative firearms. In addition to drawing connections to art, visitors can create their own styles of engraving using a computer program. Vertical firearms storage and display. Design concept drawing by Gallagher & Associates. The special exhibits gallery is the most fluid. It will have displays on a rotating basis which may include thematic exhibitions, as well as manufacturer’s and collector’s displays. The CFM’s lower level is dedicated to the enthusiast and collector, and includes a video about the art of collecting. A gun library allows visitors to study thousands of firearms up close and on both sides by means of clear storage displays. Also in the lower level, visitors can view patents and prototypes, and scholars are able to schedule time to do their own research in the museum’s new reading rooms. 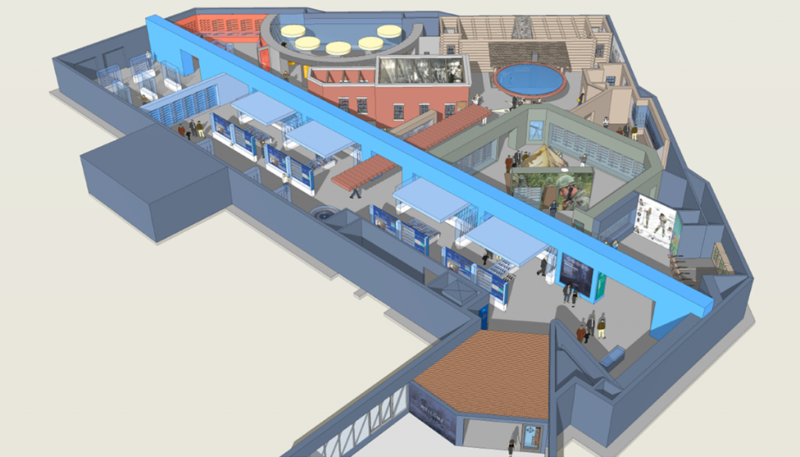 The final stages of the CFM’s renovation—reinstalling all firearms and other objects into the redesigned space—took place during the spring months of 2019, with nearly everything substantially complete for a “soft” opening in June. The renovation is fully complete for opening events, including the Grand Opening for the public on July 6 at 4 p.m.
To reiterate: The goal of the Cody Firearms Museum is to become “an even stronger destination for both firearm enthusiasts and the general public.” Through this new plan, the museum has something for everyone, and as a nonadvocacy institution, the CFM holds a niche for visitors unfamiliar with guns. The purpose of the museum is not necessarily to breed a next generation of gun enthusiasts. Rather, our goal is to create a learning environment that addresses the significance of firearms while hopefully reducing both the stigma and the misinformation that is so widespread today. Pictured here are recent visitors to the Cody Firearms Museum pre-renovation. They are sure to marvel on their return visit to the “new” CFM. 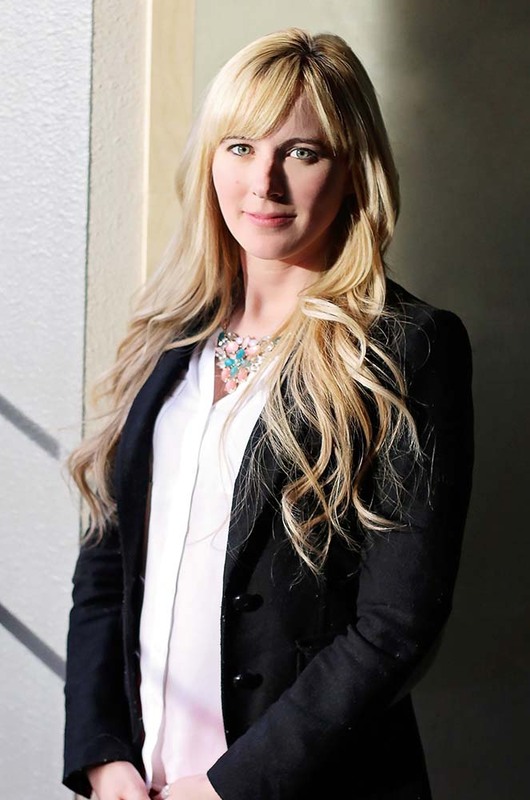 Ashley Hlebinsky is the Robert W. Woodruff Curator of the Cody Firearms Museum at the Buffalo Bill Center of the West. She has a master’s degree in American History and Museum Studies from the University of Delaware, where she studied the perception of firearms in culture. She previously spent three years researching in the Smithsonian Institution’s National Firearms Collection. In addition to her duties at the Cody Firearms Museum, Hlebinsky is President of The Gun Code, LLC, a consulting business through which she serves as a museum advisor, expert witness on both civil and criminal cases, freelance writer, certified firearms instructor, international lecturer, on-camera historian, and television producer. Hlebinsky recently founded the first association in the United States to promote the academic study of firearms history and material culture. Hlebinsky lectures around the country and in Canada to both the firearms industry and the academic community about firearms in modern culture and in museums. She has appeared on both national and international television networks, including the Travel Channel’s Mysteries at the Museum, Outdoor Channel’s Gun Stories with Joe Mantegna, and most recently as co-host of the new Discovery channel series, Master of Arms.